The Israeli Housing Minister Uri Ariel declared Wednesday the construction of thousands of new housing units in West Bank settlements at the start Palestinian-Israeli negotiations. 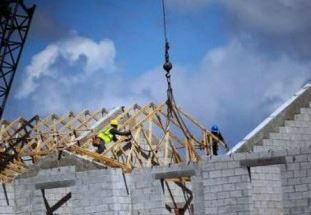 We will build thousands of houses during the next year in “Judea and Samaria” areas in the West Bank and no one can dictate where we can build, the Israeli minister said. Ariel, a member of the national religious party "Jewish Home" that opposes the establishment of a Palestinian state, pointed out that the intended housing units will be constructed in the isolated settlements not in settlement blocs where 36O thousand settlers live. Meanwhile, Palestinian official data confirmed that settlements' number in West Bank has increased to 144 in 2012 from 140 settlements in 2011. In its annual report issued Wednesday, the Palestinian Central Bureau of Statistics (PCBS) pointed out that the majority are located in Jerusalem governorate: 26 settlements, of which 16 have been annexed by Israel, 24 settlements were built in Ramallah and Al Bireh, 19 settlements were established in al-Khalil, and the 17 settlements in the Jordan, while only 3 settlements were built in Tulkarem. By the end of 2012 the settlers' number in the West Bank has reached 563,546 settlers, compared to 538,781 settlers at the end of 2011, with 4.6 per cent increase. 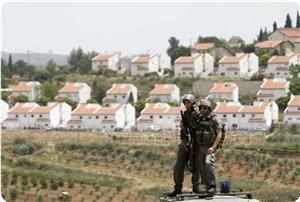 The number of settlers in the occupied West Bank has doubled more than 40 times in the period between 1972 and 2013. 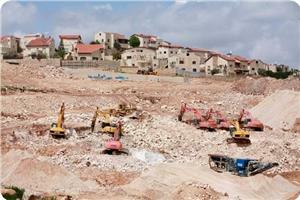 The settlers' number has been raised by 2.8 per cent during the first six months of 2012, the report pointed out. 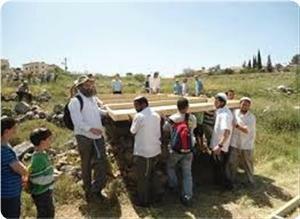 The occupation authorities seek to provide investment and social incentives to encourage settlers. 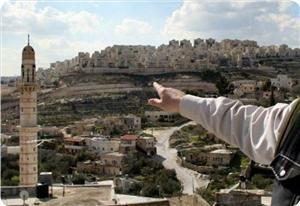 Data indicate that the number of settlers in the West Bank in 2012 was 563,546. Most of these settlers live in Jerusalem governorate with 277,501 settlers in total, including 203,176 in Jerusalem governorate (J1). The settlers represent 89.0% of all West Bank settlers and are concentrated in Jerusalem governorate (comprising 98.6% of all settlers in the governorate). In Qalqiliya governorate 93.0% of all settlers in the governorate are in urban settlements; in Bethlehem governorate urban settlers make up 93.2% of all settlers; in Ramallah & Al-Bireh governorate they make up 87.5% of settlers; and in Salfit governorate they make up 70.9% of settlers in the governorate. There are no urban settlements in Jenin, Tulkarm and Tubas governorates. 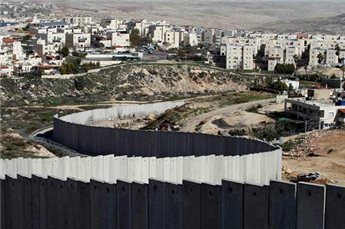 The Government of Japan deeply deplore that the Government of Israel has approved a plan for the construction of about 880 housing units in the Jewish settlements in the West Bank and tender for the construction of about 1,200 housing units in the Jewish settlements in the West Bank and East Jerusalem. At a time when the direct negotiations between Israel and Palestine have just been resumed as a result of vigorous mediation efforts made by the U.S. and the next round of talks will be held this week, the continued settlement activity of the Israeli Government clearly goes against the efforts of the parties involved and could greatly impact the recently resumed peace process, the Ministry of Foreign Affairs of Japan said in a press release Thursday. Japan strongly calls upon Israel not to implement the above-mentioned plan of construction for the sake of progress in the peace process. 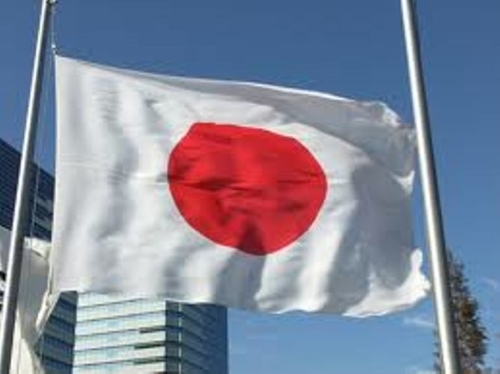 Japan once again strongly urges both sides to act to enhance mutual trust and continue to make steady efforts for peace. 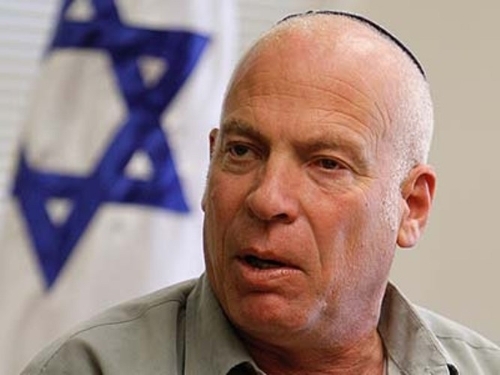 The Jerusalem Post Israeli newspaper reported Wednesday that Construction and Housing Minister Uri Ariel promised that Israel will continue to build over the Green Line. "We will continue to build over the Green Line, even during the negotiations. Israel doesn't need any special reason to build," Ariel said during an interview with Israel's Army Radio. 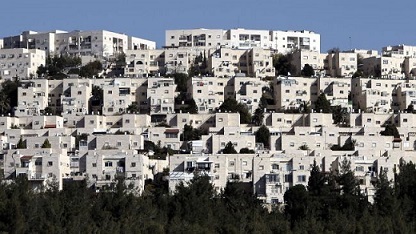 Israeli government has recently announced its intention to publish tenders for 1,187 new settler homes over the pre-1967 lines. The move, which is considered as a snub to America and the upcoming peace negotiations with the Palestinians, came a day before Tuesday night's controversial release of 26 Palestinian prisoners as the first phase of a larger prisoner release that will eventually total 104. It's worth mentioning that renewed peace talks were set to begin later on Wednesday afternoon between Israel's Justice Minister Tzipi Livni and Chief Palestinian negotiator Saeb Erekat. Ariel added in the interview, "There is no area where we will not build, and there is no area where will allow someone to dictate to us whether or not to build." 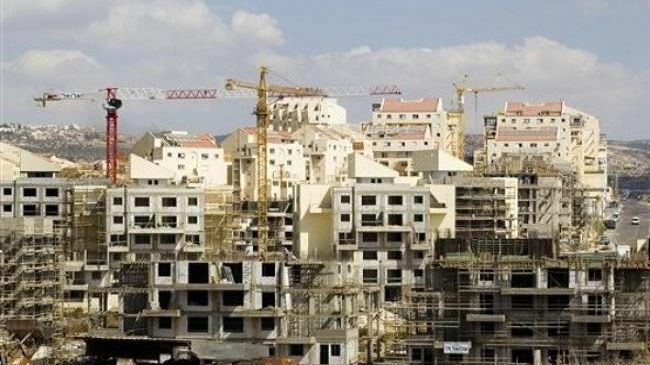 The Regional Committee of the Israeli Interior Ministry has approved the construction of another 900 settlement units in Gilo settlement east Jerusalem. Top Palestinian negotiator, Saeb Erekat, said that the PA is now mulling boycotting talks with Israelis due to resume on Wednesday. A new round of the talks between Israelis and the Palestinian Authority is to resume in occupied Jerusalem on Wednesday amid Israeli plans to establish new settlement units in Palestinian territories occupied in 1967. However, a Palestinian official said Abbas agreed to restart talks only after receiving a letter from Kerry guaranteeing that the basis of the negotiations will indeed be Israel’s pre-1967 borders. 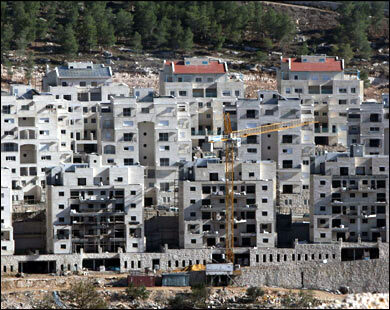 The new construction plans of 900 housing units are in addition to the 1,200 settlement units approved on Sunday. “We will build thousands of homes in the coming year in Judaea-Samaria (West Bank). 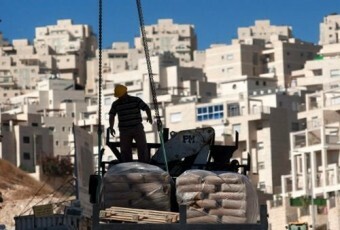 No one dictates where we can build,” said Israeli Housing Minister Uri Ariel on Wednesday. 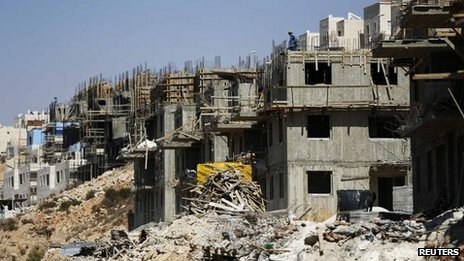 Earlier on Tuesday, the Tel Aviv regime approved the construction of another 942 settlement units in the occupied East al-Quds (Jerusalem). On Sunday, Israel announced plans to construct nearly 1,200 new illegal settlement units on the occupied Palestinian lands. The move by the Israeli regime came as the Tel Aviv regime and the Palestinian Authority (PA) prepare to resume a new round of talks. US State Department spokeswoman Jen Psaki said last week that talks between the PA and the Israeli regime will resume on August 14 in al-Quds. The warning was made on Monday by Michael Mann, the spokesman for EU foreign affairs chief Catherine Ashton. 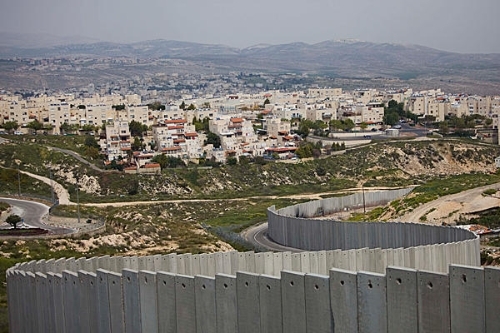 "Israeli settlements in the West Bank are illegal under international law and threaten to make a two-state solution to the Israeli-Palestinian conflict impossible," Mann said. 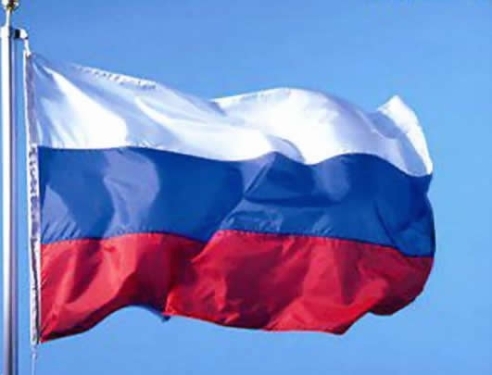 Mann also said that the bloc called on “all parties to refrain from actions which could undermine the negotiation process and the prospects of peace." It came after Israel’s Housing Minister Uri Ariel gave final approval on Sunday for the building of 793 settlement units in the occupied east al-Quds (Jerusalem) and 394 others in the West Bank. The representatives of Israel and the Palestinian Authority met last month in Washington. The meeting was the first direct negotiations in three years. The Tel Aviv regime’s new settlement plan infuriated the Palestinians with their top negotiator, Saeb Erekat, saying the PA is now mulling boycotting the talks with Israel. "The settlement plans contradict the principle of confidence and goodwill that the resumption of negotiations should have provided," Erekat said. Press TV has conducted an interview with Mark Glenn, Crescent and Cross Solidarity Movement from Idaho, about the issue of more continued approvals from Israel to build illegal settlements on occupied Palestinian land at a time when the US wants to broker talks between Israelis and Palestinians. In response to Palestinian negotiator Saeb Erekat's demand to stop Israeli settlement expansion, Netanyahu says Palestinians educating next generation to hate Israel. After chief Palestinian negotiator Saeb Erekat sent a letter Thursday to U.S. Secretary of State John Kerry saying that construction in the settlements would harm the peace process, Prime Minister Benjamin Netanyahu sent a letter of his own to Kerry over the weekend. In it, Netanyahu said that the Palestinians were still inciting against Israel even after the peace process had been renewed. Officials in Netanyahu’s bureau said that the prime minister protested to Kerry that officials in the Palestinian Authority were continuing to call for Israel’s destruction even after the parties resumed negotiations. 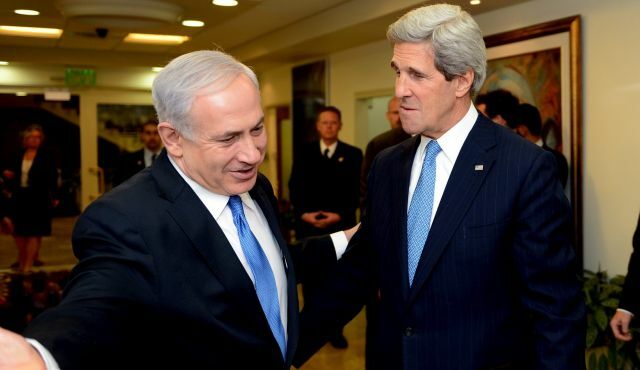 Incitement and peace do not go together, Netanyahu wrote Kerry. Netanyahu added that instead of educating the next generation of Palestinians to live in peace with Israel, Palestinians were being educated to hate Israel, which laid the foundation for continued violence and terror. Officials in Netanyahu’s bureau said Netanyahu was referring to remarks made by Palestinian President Mahmoud Abbas to Egyptian journalists last week, while talks were being resumed in Washington. Abbas had said that he was opposed to the presence of even one Israeli in the future Palestinian state. Netanyahu claimed that the remark constitutes incitement against Israel. Netanyahu included in his letter to Kerry other examples of what he calls incitement against Israel. Among them is a quote from an anchor on the Palestinian state television station during a broadcast about the Barcelona soccer team’s visit to the West Bank. In that broadcast, the anchor defined Palestine as “extending from Rosh Hanikra to Eilat,” and not only within the 1967 borders. In Erekat’s letter, he demanded that Kerry stop Israel from moving forward on plans for new settlement construction. 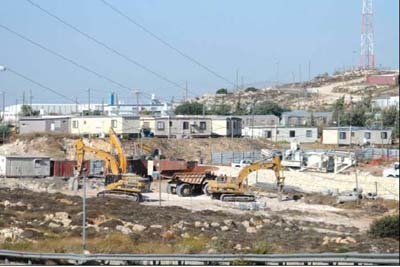 Erekat did not threaten to boycott the talks, but warned that unless settlement expansion is stopped, he finds it hard to see how negotiations can “bring about progress towards a peace agreement.” The letter details several plans that Israel announced this week, including construction of 63 housing units in East Jerusalem’s Jabal Mukkaber neighborhood; construction of 878 units in various West Bank settlements, almost all of them outside the major settlement blocs; and the cabinet’s decision to include additional settlements on Israel’s list of national priority areas, which will entitle them to various benefits. A senior Palestinian official explained that the Palestinian leadership is already under heavy pressure from its public for having agreed to resume direct talks with Israel with no guarantee that they will bear any fruit, and the announcement of the new settlement construction merely increases this pressure. 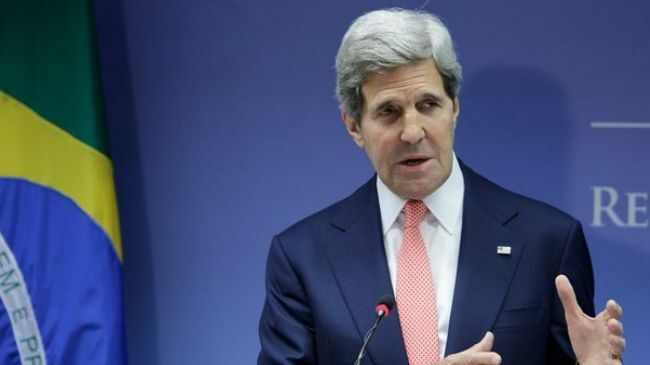 “The secretary of state must now prove that the administration in Washington is an unbiased mediator and patron, and isn’t bowing to Israeli dictates,” he said. State Department spokeswoman Jen Psaki said that Washington “does not accept the legitimacy of continued settlement activity” and has taken up the issue with Israel.